The cannabis legalization movement is quickly sweeping across the United States, and Canada is planning nation-wide legalization in the spring of 2017. Experts can all agree that the potential marijuana market is massive, both medically and recreationally. Now that cannabis prohibition is becoming history, so to is the stigma attached to using it. Adults of all ages and from all walks of life are tuning into the potential benefits of marijuana. But not everyone has previous experience with the Devil’s lettuce, and trying to navigate the cannabis marketplace with no guidance can be an overwhelming and confusing task to say the least. 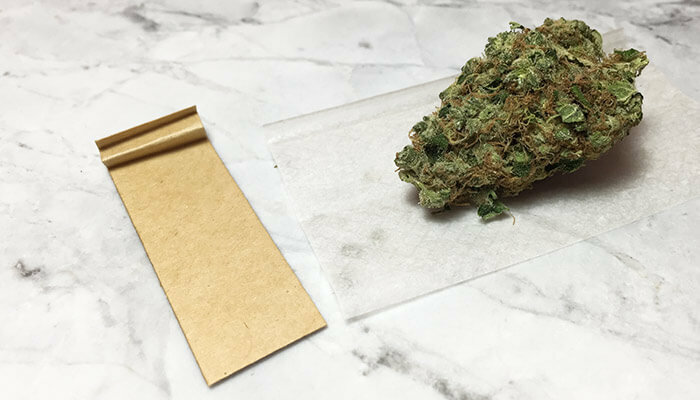 Consider this the complete guide to purchasing cannabis; whether it’s your first time or you’re a cannabis-pro, this guide will is filled with useful tidbits that everyone should know. First of all you’ll need to know what you’re using cannabis for. If you’re interested in the medical benefits of marijuana then choosing the right strain becomes pretty important. Some strains will relax and sedate while others will invigorate and motivate. Each and every cannabis strain is slightly different from the last but every strain is either a Sativa, Indica or a combination of the two. Knowing which strain to choose for your personal needs is important. Cannabis Indica is known for its deep relaxation and sedative qualities. Individuals looking for chronic pain relief or help sleeping generally opt for Indica dominant strains. For the most part, Indica strains are more potent than Sativa strains, of course this can vary from strain to strain and grower to grower. Cannabis Sativa is known for its ability to promote creativity, relieve stress and enhance the user’s mood. If you’re looking for a euphoric high that doesn’t plant you into the furniture for the next couple of hours then a Sativa dominant strain may be your cup of tea. Sativa strains usually don’t hit as hard as Indica strains, leaving users feeling motivated, productive and happy. Hybrid Cannabis strains contain the genetics of both Sativa and Indica strains. Hybrids can be a 50/50 mix, or lean Sativa / Indica dominant depending on the breeding. Most reputable dispensaries will have the strain specifics right on the label, showcasing the genetic balance and often times the potency of the strain. Tetrahydrocannabinol (THC) is the primary psychoactive component in cannabis. The ‘potency’ of any strain is measured in the percentage of THC content which can range from virtually none to upwards of 30%. A moderately potent cannabis strain is usually somewhere around 15% THC, anything above 20% is considered to be quite powerful. Cannabidiol (CBD) is the primary cannabinoid responsible for cannabis’ health benefits. While THC and the dozens of other cannabinoids all possess their own unique health benefits, but cannabidiol is the most promising by far. CBD doesn’t have any psychoactive effects whatsoever, making CBD extraction one of the most exciting developments in modern medicine. Here is an in-depth look at the health benefits of CBD. Medical patients specifically will want to pay extra attention to the percentage of CBD in their cannabis. Many cannabis breeders are now creating strains that are CBD dominant in order to meet the growing demand for CBD rich strains. By promoting the CBD content through genetic engineering and reducing the amount of THC, breeders can offer medical patients a powerfully medical cannabis strain without the added psychoactive punch. Individuals interested in relieving pain, muscle tension, or even seizures should look for strains high in CBD or CBD extracts. There are plenty of other cannabinoids in cannabis, each offering their own health benefits and effects. Many experts believe that the cannabinoids in cannabis actually work synergistically, meaning whole-plant consumption is the most beneficial. If you’re interested in learning about the different cannabinoids and terpenes in cannabis we put together a great list for you! Now that we’re familiar with the differences between Indica and Sativa, let’s discuss the different options you’ll be faced with when walking into your local dispensary. Cannabis flower is the most widely recognized and used form of cannabis. Flower is usually smoked in a pipe or joint, but you can also vaporize cannabis flower or even cook with it. Vaporizing cannabis has many advantages over smoking it, which we explain here, but it really comes down to personal preference. If you’re interested in cooking with cannabis, it’s important to first decarboxylate it in order to activate the psychoactive components. Learn how to decarb cannabis with our detailed guide. Hash is a cannabis concentrate that’s been around for ages. It is essentially a marijuana concentrate, a compressed form of the resinous crystals found on the flowers. There are numerous forms of hash available, some are processed using ice and water, others use solvents such as ethanol. Despite being derived directly from cannabis flower, hash offers a very different high and smoking experience. I find hash is a far more mellow, manageable high that leaves me far more clear-headed than smoking a similar amount of bud. Low quality hash will often have contaminants or excessive amounts of plant material. Always be sure to purchase your hash (as well as any cannabis products) from a reputable source. Cannabis oil / concentrates has become increasingly popular over the past few years. With the rise of the ‘dab’ there is an increasing demand for high quality concentrates. There are plenty of different forms of cannabis oil, we’re going to hone in on a few of the heavy hitters but if you’re interested in learning more about cannabis concentrates check out our complete guide here. Butane hash oil (BHO) is a popular option available virtually everywhere that sells cannabis. 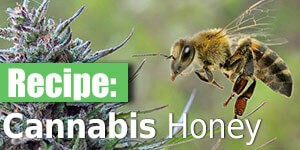 Cannabinoids (including THC) are extracted from the plant material using butane. After extraction you’re left with a sticky, semi-translucent substance that is perfect for dabbing or vaporizing. BHO is usually quite potent, THC levels can easily be ~80% so use caution when trying it for the first time. When using a potent BHO, it’s actually quite shocking how little is needed to achieve your desired high. CO2 cannabis oil is a more recent development that has hit the marijuana market by storm. By using CO2 to extract the cannabinoids from the cannabis plant you can avoid using any harsh solvents. The oil produced is far less viscous than BHO, making it the concentrate of choice for many vape pens that use cartridges. Rosin oil is another cannabis concentrate, however unlike BHO or even CO2 it doesn’t use anything at all to extract the resin other than heat and pressure. A device known as a ‘Rosin Oil Press’ is used to extract the oil from the flower. A rosin oil press can be as simple as a $20 hair straightener or a complex hydraulic press with precise temperature controlled heat plates. You can easily make your own rosin oil at home using our step-by-step guide. Keep in mind that a $20 hair straightener will never be able to offer you the efficiency that a legit rosin press will be able to. If smoking or vaporizing cannabis doesn’t appeal to you then there are always edibles. Marijuana edibles are usually associated with pot-brownies or cookies, but people are infusing just about anything you can think of. Cannabis infused beverages, gummies, and candies are just a few of the options. Sublingual cannabis sprays are even an option. Folks who want to take a more clinical approach to medicating can opt for pure cannabis oil pills / capsules. Synthetic versions such as Marinol have been prescribed by doctors for years already, but personally I’m far more comfortable with a natural cannabis extract. A word to the wise regarding cannabis edibles: Start low and slow. Edibles take quite a bit longer to kick in compared to smoking or vaporizing, in some cases up to a couple of hours later. The disconnect between dosing and feeling the effects can make it easy to overdo it. Beginners should try no more than 10 mg – 20 mg for their first time. Regardless of your experience with smoking cannabis, edibles is a different animal altogether. In no way, shape or form are we condoning or suggesting the purchase of illegal cannabis. If you’re lucky enough to live in one of the select few states that has legalized the recreational use of marijuana then you won’t need to look far to purchase your herb. Colorado for example is considered the cannabis-mecca of the United States. Being one of the first states to legalize recreational cannabis, there’s no shortage of dispensaries to choose from. Most other states, as well as in Canada, you’re required to have a medical marijuana license in order to legally purchase cannabis. Medical users are often restricted to purchasing their cannabis from a select few government approved producers. 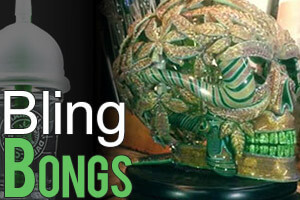 There are some advantages to this system, it’s easier to regulate and monitor the product being produced for example. However there are also quite a few downfalls, including a serious lack of variety in many cases. After having talked with a few medical marijuana patients in Canada specifically, the most common gripe is a severe lack of consistency coupled with extraordinarily high prices. Assuming Canada takes a similar approach to cannabis as it did with alcohol, expect the prices to stay high and the quality to suffer. Dispensaries are a great place to start if you’re a first time buyer. Assuming the staff are friendly and knowledgable, they can help guide you through the process and suggest a strain or two that will fit your needs nicely. A qualified and experienced budtender is your best friend when it comes to navigating the countless options you’ll be faced with. Again, not all dispensaries are created equal. Check the reviews and do some research before taking the budtenders word for gospel. Not all dispensaries vet their product through laboratory testing before selling it to you, making it very difficult for a beginner to choose the right strain. Purchasing cannabis online is another option for consumers, in some cases it’s the only option. The obvious disadvantage is that you cannot see the exact product you’re about to purchase, and there is absolutely no personalized budtender guidance. Advantages of buying cannabis online is it’s easy. With just a few clicks you can have pot delivered directly to your door; doesn’t get much better than that. As the legalization movement gains steam and more states go green, we expect the cannabis delivery options to get more sophisticated as well. Perhaps one day you’ll get your weekly cannabis shipment delivered via-drone, with products tailored to your personal needs and preferences. Do you have any questions about purchasing cannabis that we haven’t covered? Let us know! Drop us a line through the contact form or in the comments below and we’ll do our best to answer your questions.